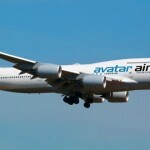 BOCA RATON, Fla. — Executives with Avatar Airlines will hold a press conference in Boca Raton, FL to announce it is moving corporate headquarters to Boca Raton. Avatar Airlines aims to become the largest airline startup in U.S. history. Avatar promises to provide “everyday” fares of 50% or more below the lowest fares available. Attend and you’ll learn how Avatar will revolutionize the airline industry by making transportation truly affordable for all Americans while maintaining substantial levels of profitability. 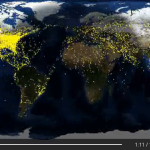 WHEN: Thursday, April 17th — 1:30 p.m.
Avatar is building a better airline from the ground up. Avatar will make full use of the latest technology in order to bring down the cost of air travel, without sacrificing the creature comforts of luxury flight. Exclusive use of online reservations (“straight to the gate”) is a tremendous savings for Avatar, and allows it to pass on a tremendous savings to its passengers. Not only will Avatar not sacrifice creature comforts, it will actually enhance them. We realize that “creature comforts” may mean different things to different passengers. Some passengers may want to use their flight-time to totally unplug and relax by catching a few extra winks or by even curling up with a good book. We get it. There’s no reason these passengers should have to pay for technology they don’t plan on using. It’s one of the ways Avatar plans to keep the overall cost of flight travel at remarkably low levels. Avatar Airlines will utilize four-engine Boeing 747 jumbo jets, reconfigured with 539 seats in the main cabin and 42 office class seats on the upper deck, resulting in the lowest cost per available seat mile in the industry. A tremendous savings will be passed on directly to our passengers because of this. It’s not rocket science. Bigger aircraft + more seats = lower price. And when you’re free to walk about the cabin, you’ll have two roomy aisles to choose from, not to mention an average of about 9 restrooms. Disclaimer: Avatar Airlines has made application to the DOT and the FAA for operating authority as a commercial air carrier, and its ability to operate is dependent upon receipt (which is not assured or guaranteed) of all necessary governmental authorizations. Avatar Airlines has made application to the DOT and the FAA for operating authority as a commercial air carrier, and its ability to operate is dependent upon receipt (which is not assured or guaranteed) of all necessary governmental authorizations.